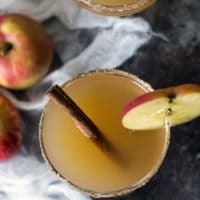 If you love apple cider, this bourbon apple cider cocktail should go onto your happy hour drink list! 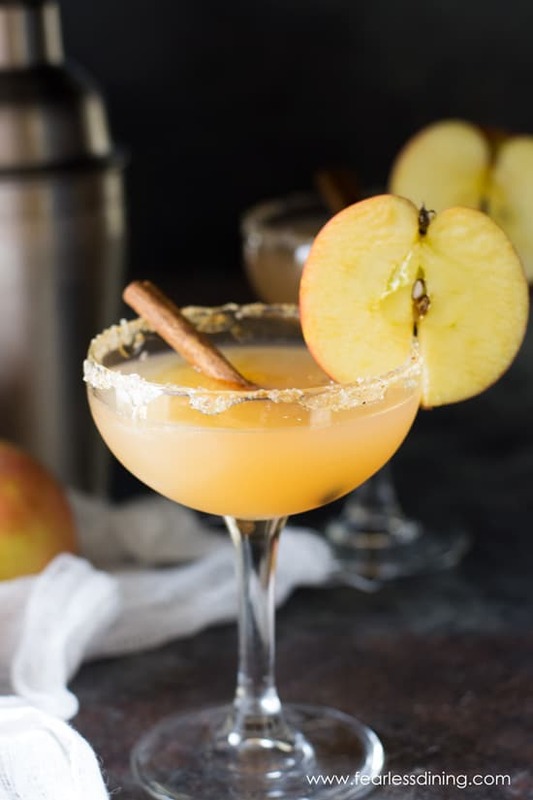 Crisp apple flavor blends beautifully with bourbon, add a hint of cinnamon, and you have the perfect fall cocktail! Fall is all about flavor. We have an uncle who has an enormous apple tree in his backyard. Each year he picks a lot of the apples and makes a homemade apple cider out of it. He serves it at our family Thanksgiving celebration every year. Although I don’t have his homemade apple cider to make this bourbon apple cider, I created this cocktail as a tribute :-). Bourbon is my drink of choice for this recipe. It has a sweet mellow flavor that works so well with the cinnamon and apple flavors. 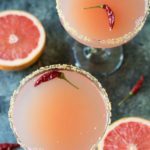 I admit I am partial to bourbon, and if you love bourbon like I do, you will want to try this Crushed Grape Bourbon Cocktail, or this Tropical White Peach and Bourbon Cocktail!! The next time I use honey, I would use a Q-tip to apply just a tiny bit of honey to the rim. This should prevent dripping! 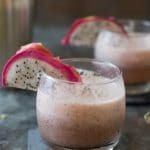 Pretty picture, or not so pretty, this bourbon cider cocktail is so worth making!! What alcohol goes with apple cider? Honey Liquor is really good if you want something different. I used honey liquor in these Honey Strawberry Gin Cocktails, and it was delicious! Vodka will work in this cocktail, but it will not turn out as sweet. 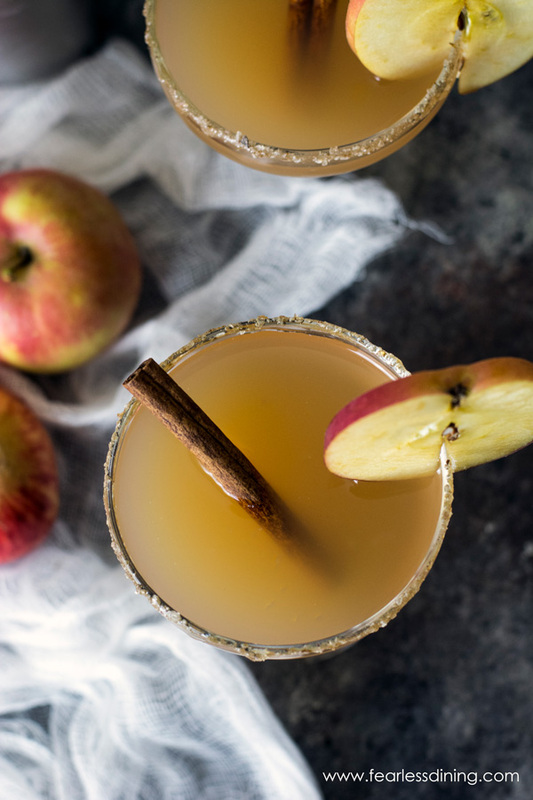 What kind of apple cider is best for this bourbon cider cocktail? I really like the jug of apple cider that I found at Trader Joe’s. Whole Foods has these big jugs too. Keep your eye out at the farmer’s market or farm stand as those apple ciders are really fresh! Are you ready to try this Bourbon Apple Cider recipe? A cocktail shaker and strainer set makes chilling this cocktail a breeze! 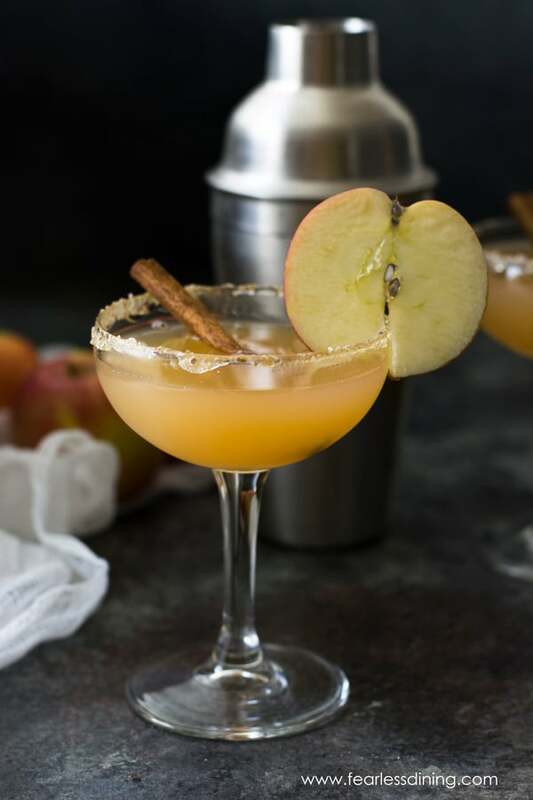 An easy cinnamon bourbon apple cider cocktail recipe. Add all ingredients to an ice-filled shaker. Use the strainer to pour into two glasses. This bourbon apple cider cocktail can be served straight up or on the rocks. 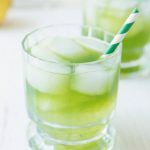 More Delicious Cocktail Recipes to Try!! I so desperately want to head up to Apple Hill east of Sacramento for apples and cider and all things fall. 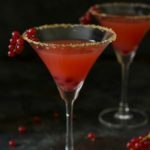 Now with this drink it’s a MUST 😀 Fall is such a wonderful time of the year and I’m looking forward to celebrating with this delicious drink – cheers! I didn’t know there was an Apple Hill where you could pick apples. It sounds beautiful!